Star Wars: The Last Jedi, Wonder Woman, The Crown and Big Little Lies are among the major films and television shows to have earned nominations for the Empire Awards. Rian Johnson’s seventh instalment in the Star Wars saga has notched nine total nominations, including Best Film, Best Sci-fi/Fantasy and a directing nod for the aforementioned Johnson. 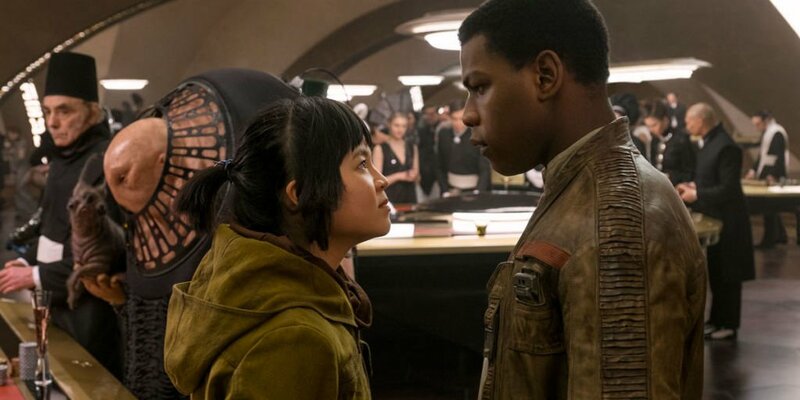 The Last Jedi‘s John Boyega is also up in the Best Actor category, while he’ll face stiff competition from fellow nominees Hugh Jackman (Logan), Andy Serkis (War For The Planet Of The Apes), Armie Hammer (Call Me By Your Name) and Gary Oldman (Darkest Hour). Daisy Ridley’s portrayal of Rey earned her a nod for Best Actress, alongside Frances McDormand (Three Billboards Outside Ebbing, Missouri), Tiffany Haddish (Girls Trip), Emma Watson (Beauty and the Beast) and Gal Gadot (Wonder Woman). Wonder Woman‘s Patty Jenkins will be vying for Best Director, while the movie itself is up for Best Film and Best Sci-fi-Fantasy. In the TV categories, Big Little Lies will battle it out with The Handmaid’s Tale, Twin Peaks: The Return, The Crown and Stranger Things 2 in hopes of continuing its awards season roll.